Promote and expand quality, community employment outcomes of choice for all people with disabilities. We are a membership organization that promotes and expands quality, community employment outcomes of choice for all people with disabilities. Join us for a two day conference to learn best practices and employment resources from around the state. Help us honor those going above and beyond in the field of disability employment. Get the right information to help you plan for and transition into employment with our full list of resources. We provide information that can address your need to live independently, find employment, and services to further your education. 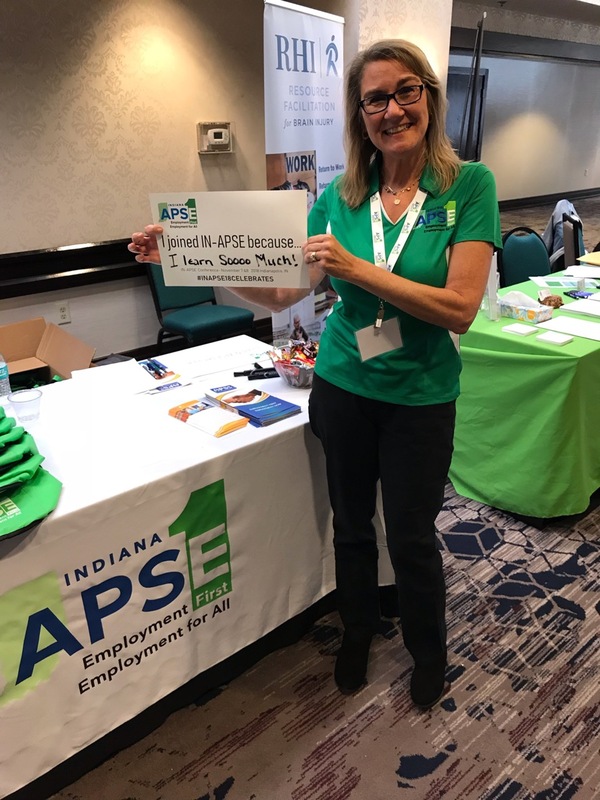 Businesses, policy makers, citizens with disabilities and their families, supported employment and rehabilitation professionals, and educators – APSE wants you! APSE members are the foundation of advocacy for integrated employment. There truly is strength in numbers at local, regional, state-wide and national levels. Join an exciting and growing national movement advancing equitable employment for individuals with disabilities. Play your part in creating change in public policy to ensure equitable employment for individuals with disabilities. Access state-of-the-art concepts and practices in expanding equitable employment for individuals with disabilities. Self advocate for the rights of individuals with disabilities to meaningful employment and competitive salaries. Join a growing network of like-minded, forward thinking people concerned about equitable employment for individuals with disabilities. Thank you for renewing or expressing your interest in a new APSE membership! We truly cannot do it without you! Kris has become a very valuable member of the team and has been one of the inspirations for the restaurant to expand the position as they prepare to move to a new location. There is a high employment rate for individuals who do not identify as having a disability. Unfortunately, the difference between individuals with disabilities and those without is staggering. There are a remarkable amount of people with disabilities that are not employed. Changing this percentage is a huge goal for IN-APSE and the State of Indiana. There are so many individuals with disabilities that have the skills, talents, and experience needed to be successful but are being overlooked.